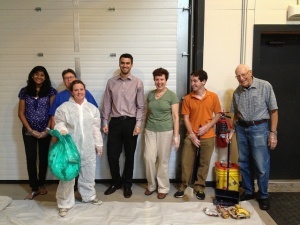 The trash audit group in June of 2013. Garbage goes out on Fridays. 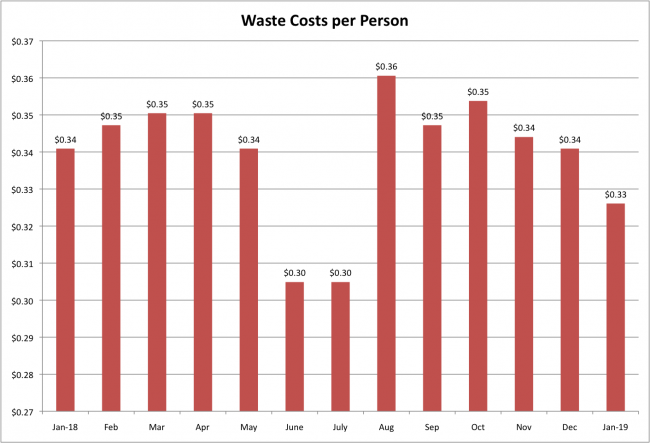 It is picked up by the City of Detroit Department of Public Services. Recycled material (paper, cardboard, styrofoam, glass, metal and plastics) is picked up weekly by Recycle Here. Compost goes to 2 locations: Palmer Park, where we mix it with spent brewing grains from Motor City Brewing Works and horse manure; and some to our worms, located in the greenhouse. 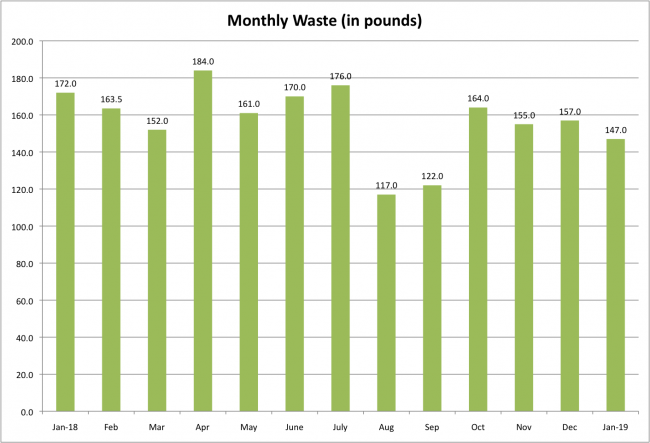 We compost approximately 5 pounds of food scraps per day, 25 per week. In January 2019, there were 115 people in the building. 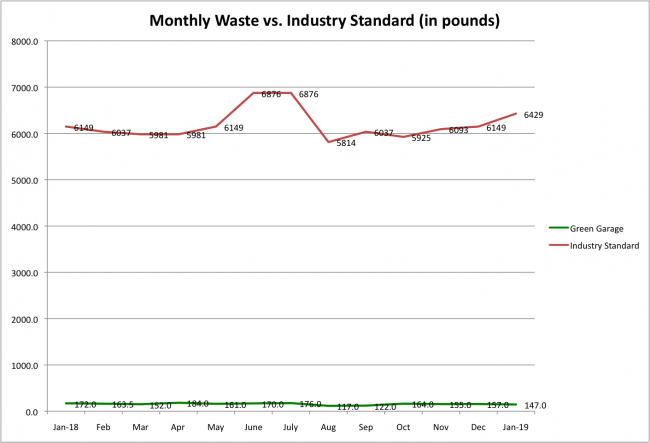 This chart compares our waste output with an industry standard for office space of 13 pounds of waste per person per week, or about 56 pounds of waste per person per month. 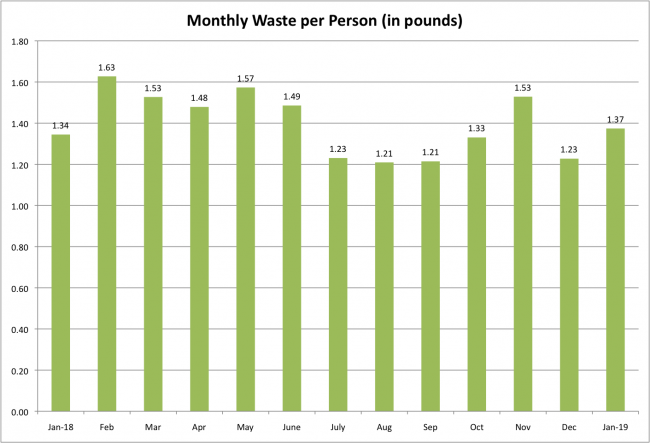 As the number of people in the building has risen throughout the year, our waste numbers have remained surprisingly constant. 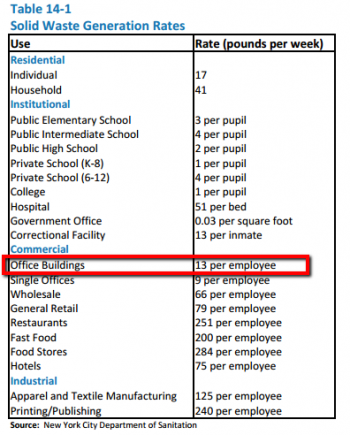 The hypothetical 'industry standard' red line shows how these numbers might have looked if we were a typical office building. This page was last modified on 3 April 2019, at 14:48.